I try to stay up to date on my magazine subscriptions, but I often fall behind once the school year starts. This issue, however, I have made time to read. The cover story “Never Offline” by Lev Grossman and Matt Valla was exceptionally well written. They profile the new Apple Watch within the larger context of how technology is consistently creeping closer toward us as wearables. What’s next? The future is both bright and disturbing. The related articles are also worth reading. I started subscribing back in July. They have an educator’s discount for digital editions Monday through Saturday, and the paper edition on Sunday. The local and state papers were fine, but I felt like I was missing out on a larger conversation, both informatively and culturally. To be honest, I have just perused the titles of the articles when time has allowed at school. Every one looks excellent. Another principal in Wisconsin uses grant money to provide subscriptions of this educational journal for all of his staff. I can see why. This resource provided the template for visiting staff last year when they came to observe our teachers as part of a grant we received. Now I am reading through the entire text, before we move forward with our own teachers observing each other. Getting to this point has been a process, but the destination would not be attainable without building relationships and developing a culture of trust with staff first. Our first meeting for the school year was facilitated by two Courage to Teach trainers. We didn’t look at new curriculum materials, discuss the assessment calendar, or introduce technology into our busy lives. Instead, we gathered at a shelter surrounded by woods and lake, wireless gladly absent, and reflected on why we became teachers in the first place. This led me to start reading the book this program was based on. With everything coming at us as educators, I cannot imagine a better time to remember why we do what we do. I wish Michael Pollan cared as much about education has he does about gardening and food. He has a true passion for his subject – he lives it. When he writes about gardening, he gardens. When he writes about cooking, he cooks. Today’s educational journalists would be wise to emulate Pollan’s approach and actually teach a class or two before writing about what it is like to be a teacher. You may have noticed that I read too much nonfiction. With that in mind, I have decided to try this title and recently read the first chapter. My wife highly recommended it. I can see why. The opening immediately sets the tone for the entire book (I am guessing, anyway). With the movie coming out soon, I will be interested in comparing both versions. I read aloud the first title in this series to my son. What a great story! He has proceeded to read all the subsequent titles up until this one. We were informed by a friend that there is a chapter that has some content that I may want to preview first. My son is only a second grader and reads about grade level, so he might not be ready for this content yet. I’ll have to determine that before letting him move on. This post is actually a comment I left on Annie Murphy Paul’s blog, on her post titled “Teens Are Choosing Books That Are Too Easy For Them”. Where I agree with the concerns of this report is that secondary students do need more guided instruction. By guided, I mean the teacher conferring with readers on a regular basis, asking them questions about the text and giving support in the form of strategy instruction. And I am not against reading the classics and being challenged as a reader from time to time. But the job of the teacher is to scaffold the students’ experiences with the text so they are successful, with strategies such as questioning and graphic organizers. It shouldn’t be left to the parents. You can read more about this research in the excellent resource What Really Matters in Response to Intervention by Richard Allington. I also recommend his article Intervention All Day Long, found at http://goo.gl/lTWuH. In the article, Dr. Allington actually goes into a secondary school and concretely shows the fallacy of matching readers with text that is too difficult. Where some seem to see a problem in students not selecting challenging texts, I see this issue as a success story. Students are reading! Who here reads books because they are challenging? I don’t. I choose to read text that is interesting, engaging, and meaningful to me as a reader and a person. Sounds like this is what these students are doing. For the most part, I say leave them alone and let them read. 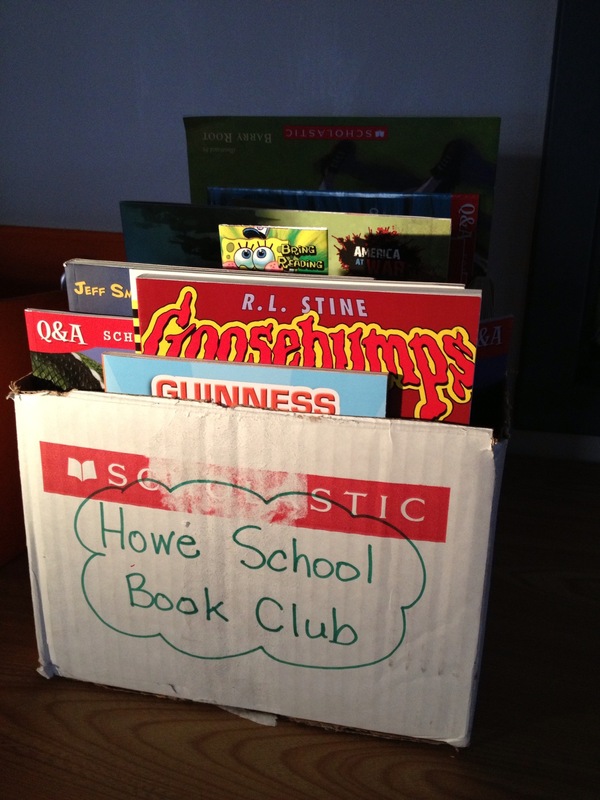 In my school, reading intervention for 4th and 5th graders very much resembles a book club. There are a) lots of books that the readers are interested in, b) not a lot of tests or assignments, and c) lots of time to read. In fact, we call it “Howe Book Club”. The word “intervention” is not in the students’ lexicon. It takes place both during the school day in the afternoon and after school twice a week. It was designed this year based on a post from the Stenhouse blog. Now in full swing, we are tweaking things here and there to keep the kids reading. 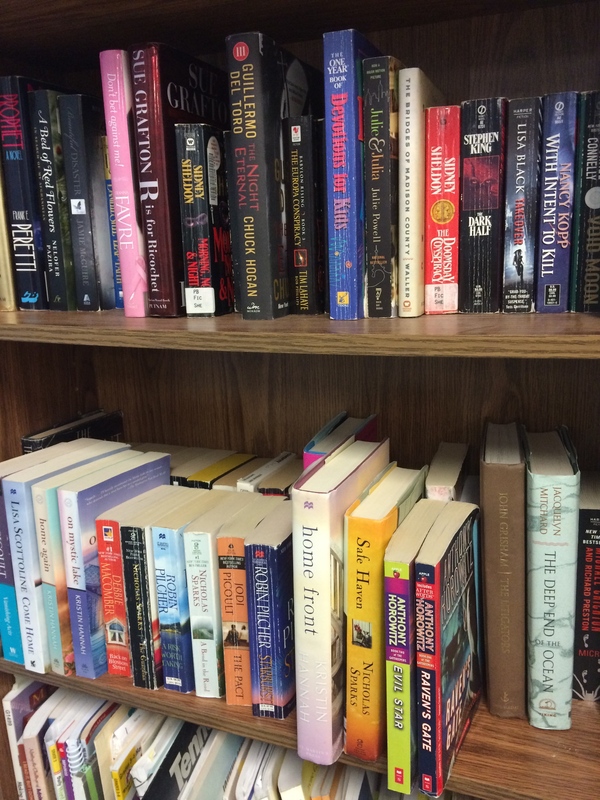 Example: Students were becoming less engaged in the paperbacks we had purchased for them. In response, we allocated some funds to purchased eReaders and allowed the students to choose the digital books to be downloaded on the devices. How is it so far, compared to his or her other books? What genre is this one? Why did you decide to read this one? Is this one worthy of a book talk? The plan is to put some of these questions and prompts on a handy reference card and on a poster in our library where the intervention takes place. This skill will first need to be modeled by the interventionists, which consist of current and retired teachers. They could do this at the beginning of each session, where time is set aside for the adult to read aloud a favorite book to the group. Once the students get the hang of speaking like readers, they can facilitate conversations both in person and online. There is time built in for each student to share something that resonated with them from what they are reading in their small group. We will also have them set up in a class on Edmodo. This will allow students to continue their conversations beyond the official intervention time. These activities we are facilitating for our students are authentic and engaging. They are doing what real readers do – read books, write and share about what they read, listen to others talk about their experiences, and then find more books to read. This is part of a post I shared with my teachers this week on our staff blog. It is a summary of what I took away from the excellent WSRA Convention in Milwaukee on February 7-9, 2013. 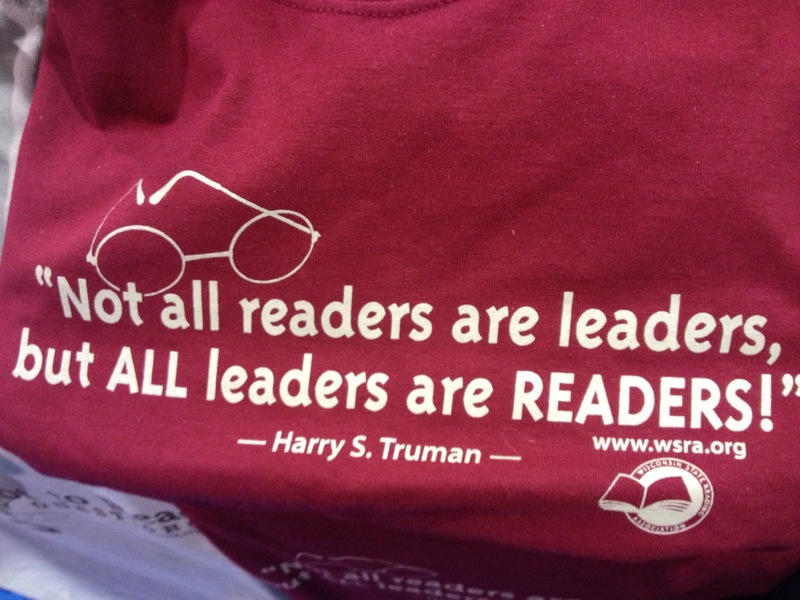 The Wisconsin State Reading Association conference was an excellent experience. I attended very informative sessions and had great conversations with other educators. You can read all of the tweets associated with five of the keynotes and sessions on my Storify page. I plan to share more both formally and informally. One of the common threads during the conference was the Common Core. But not in the way I expected. Instead of hearing how schools should be addressing these standards in everything we do, the presenters encouraged us to take it slow. Focus on the students. Consider what engages them. If we can continue to make school a place of joy and allow students to achieve their personal learning goals, the Common Core will take care of itself. Not to say that the CCSS should be relegated to the sidelines. Many well known educators and researchers such as Jeff Wilhelm and Regie Routman encouraged everyone to use what is laid out in the Common Core, but as a resource instead of a focus. These standards are not what students come to school for every day. They attend to our instruction and their learning because they want to become better readers and writers, and they believe you can help them along the way. Let’s stay the course and not get too excited about what is coming. What we know to be best practices will carry us through. I recently hosted a one hour technology session for district staff. The topic: Using Evernote on the iPad to Confer With and Assess Readers. I am scheduled to run this workshop again for Central Wisconsin reading teachers in January. This information is invaluable to me as I think about how I will change my instruction to better meet the needs of the participants.